Every detail of the Jicaro Island Ecolodge was designed to put you in harmony with nature and the environment, located in Nicaragua. Your quarters at Jicaro Ecolodge have a two-story private mini-ecolodge, built entirely from Rainforest Alliance certified wood. 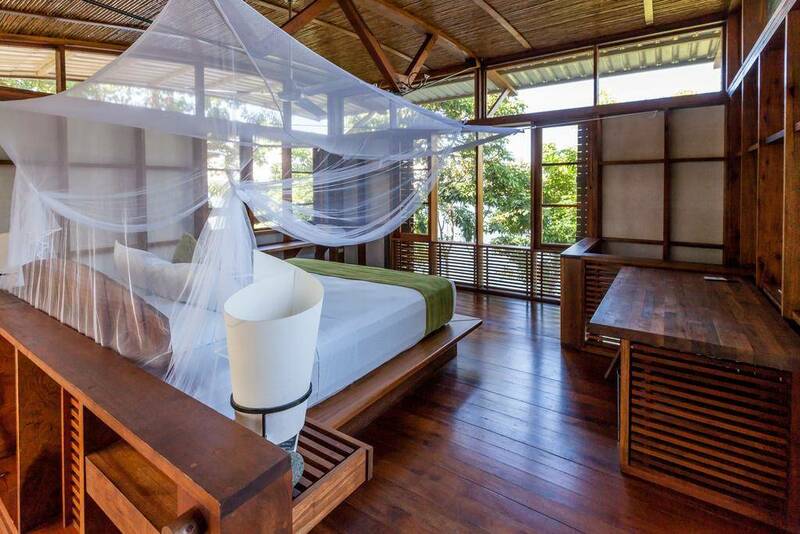 You’ll feel cool and refreshed in your eco-lodge with its cooling fans, doors, and windows for a pleasant breeze. 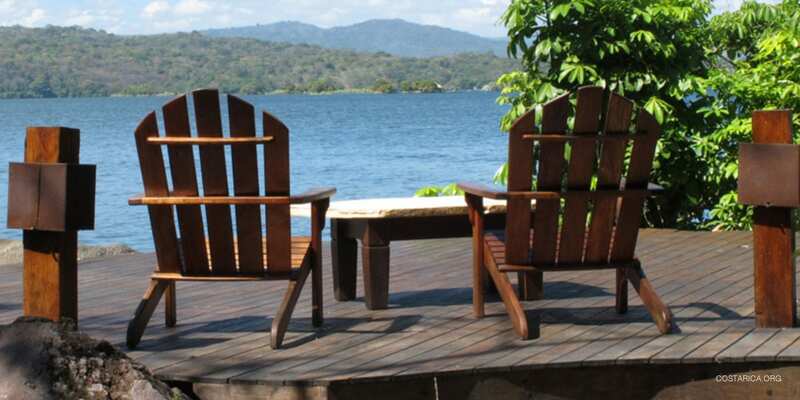 You and your partner can relax in the hammock on your private deck that looks out over the peaceful lake. 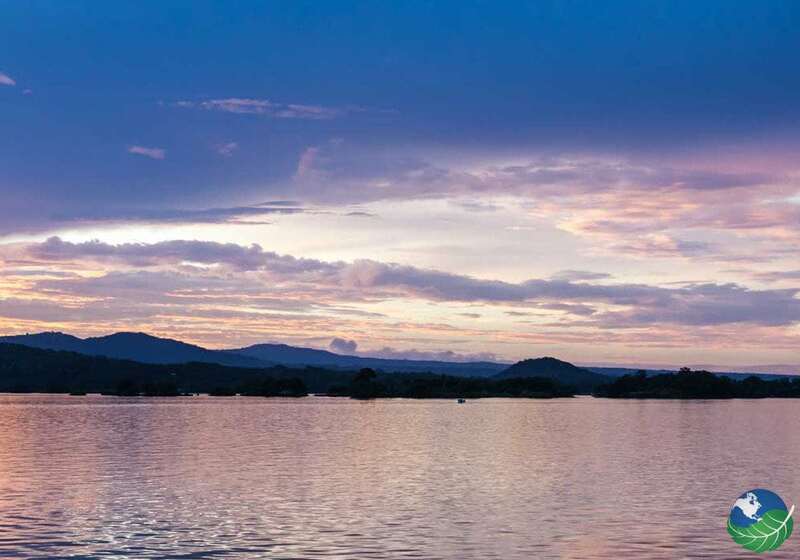 Explore the stunning views of sunrises and sunsets to treat your eyes. 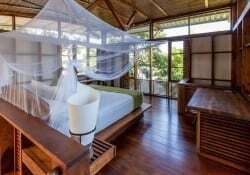 The linens, towels, and bathrobes at Jicaro Ecolodge come made from bamboo and organic cotton blend. All the soaps and shampoos are biodegradable. Jicaro Ecolodge’s water system meets international sustainability standards, and all the electricity is energy-efficient and non-invasive. At Jicaro Ecolodge, you’ll feel at one with the island, and you’ll leave knowing your footprint is as light as possible. Of course, you’ll want to eat. 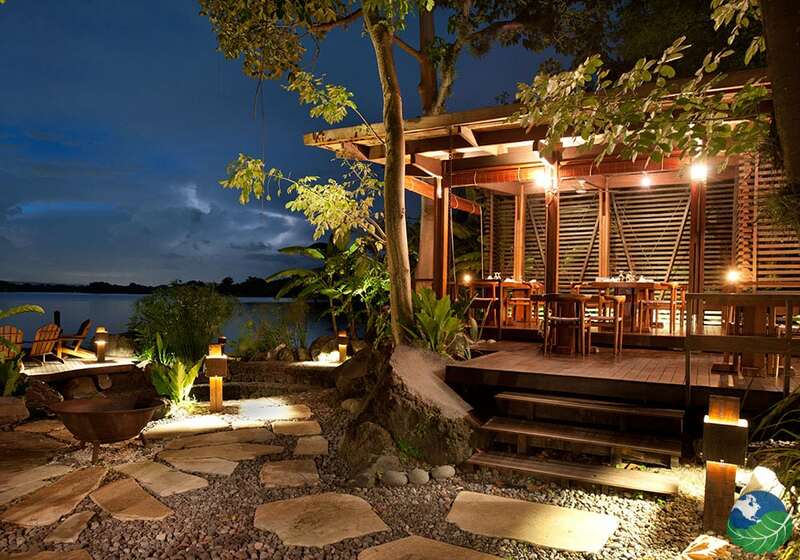 And Jicaro Ecolodge offers you some of the finest organic cuisines that will ever pass through your lips. 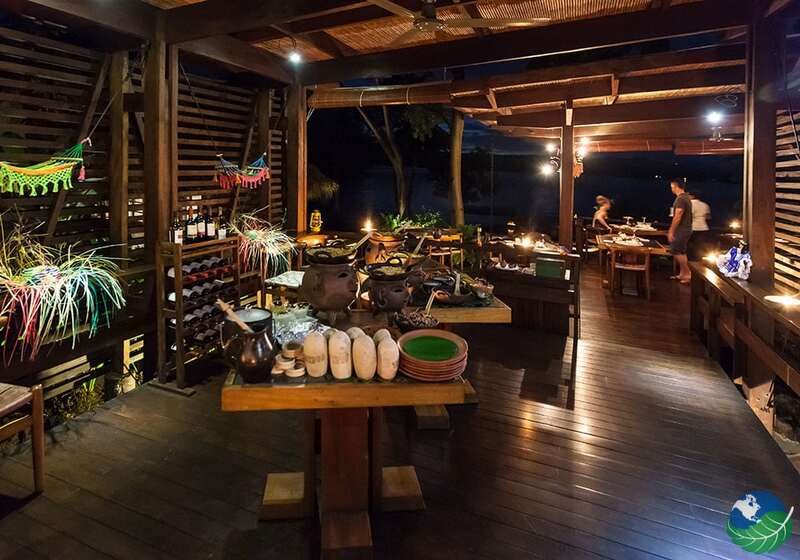 All the food is local at Jicaro Ecolodge: fresh fish from the lake itself and the ocean. A wide variety of vegetables and fruit, and locally farmed meats. Your meals included in your room stay so that you appreciate the fine flavors prepared by the chef every meal, and even watch your dinner being made in the open kitchen! The staff at Jicaro Ecolodge knows what you need before you need it. Every morning you’ll find savory coffee at your room. Firstly they greet you with fresh drinks and cool towels when you return from an excursion. 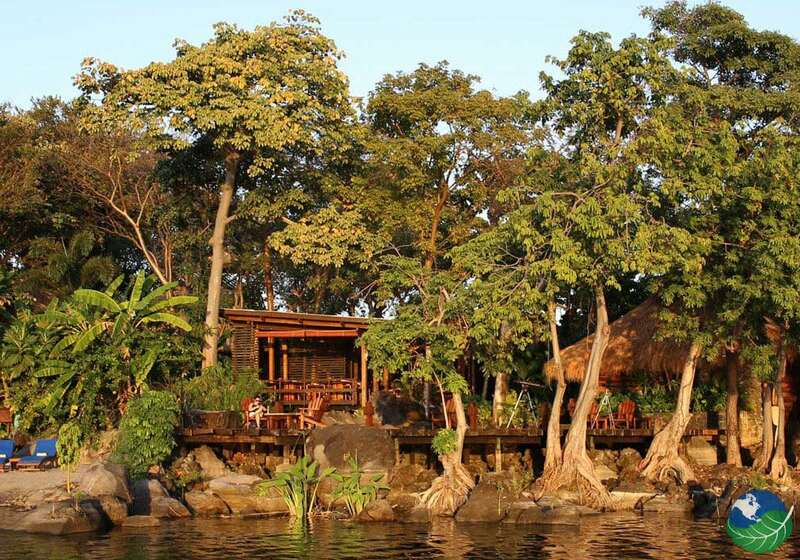 The staff at Jicaro Ecolodge will happily show you the surroundings of Lake Nicaragua on a kayaking tour at sunrise, sunset or even during the full moon; you can go on a nature reserve tour or hike, see butterfly and orchid farms, and visit hot springs and volcanoes. If you feel like you need a little more pampering, let Jicaro Ecolodge’s fine therapists work with you on massage, reflexology, and energy work, and have a session with their yoga masters. 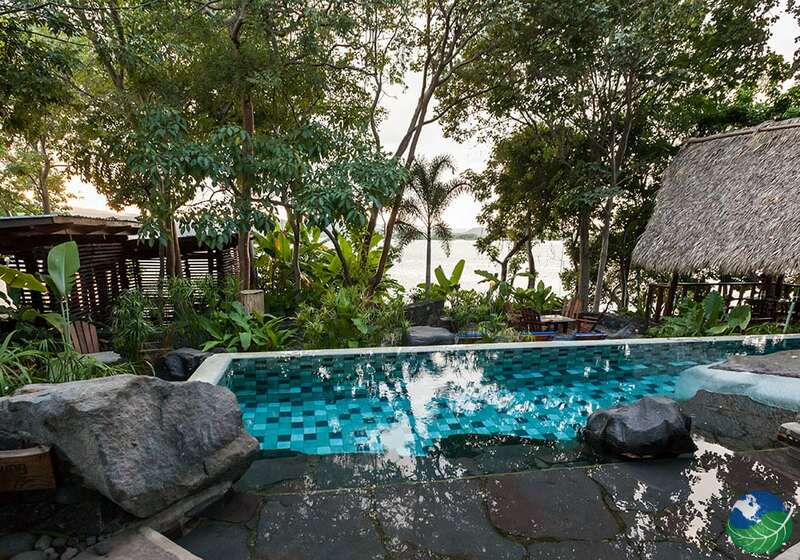 These are two stories casitas with a king size bed at the second floor and a spacious living room at the ground floor with a private patio with large hammock lake view. 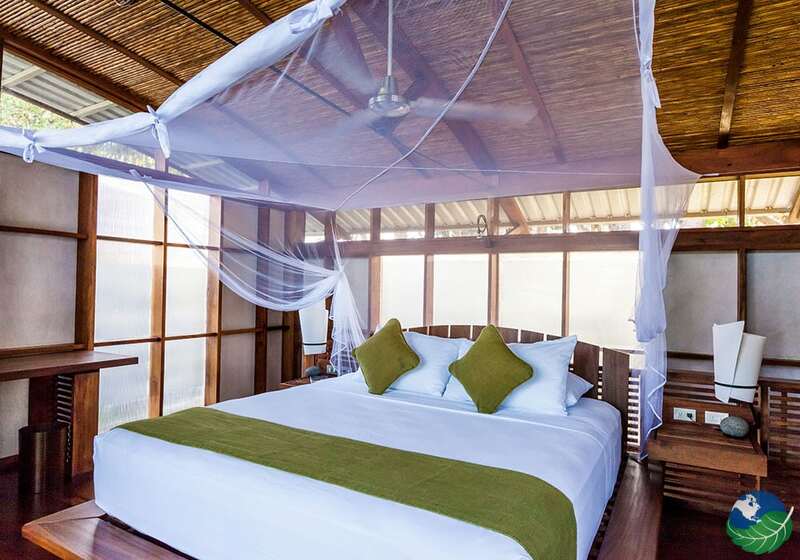 They feature a private bedroom, ceiling fans, eco-friendly amenities and mosquito nests.